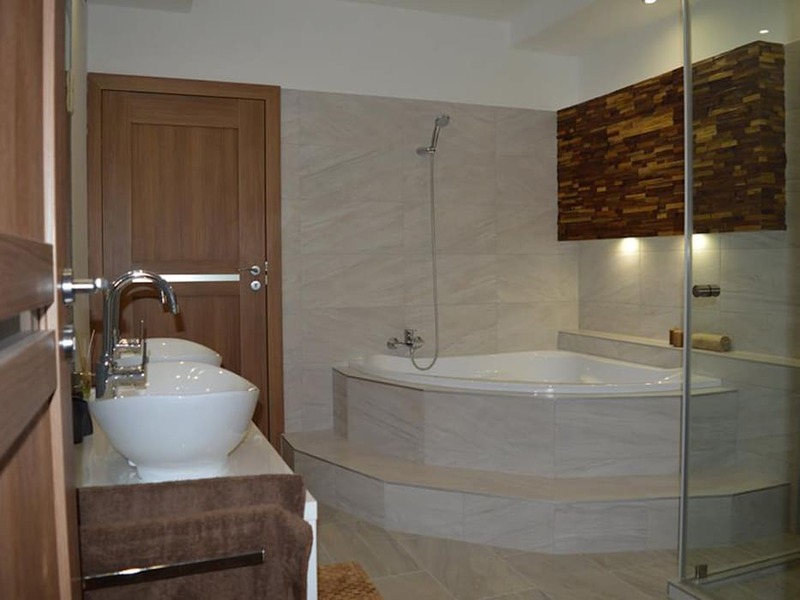 Our customer used Wallure Striped – Walnut – Narrow – Split – Varnished panels for this project. In the living room they decorated the wall around the built in fireplace. In the bathroom they decorated a small wall above the bath.